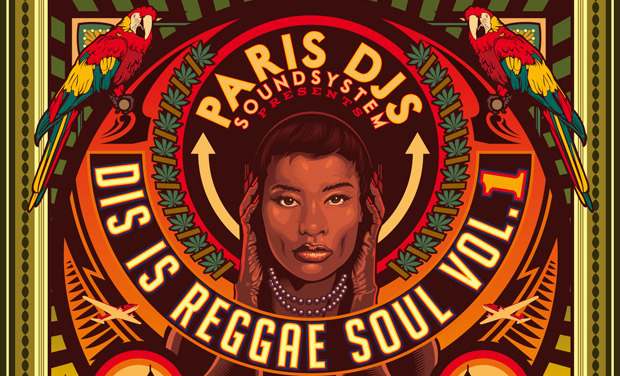 Paris DJs is a young label launched in 2012, who's already put out no less than 4 Reggae albums, 5 Afro/Tropical compilations, 2 Hip Hop compilations and 50 singles of Reggae, Ska, Afro, Latin, Jazz, Soul, etc. 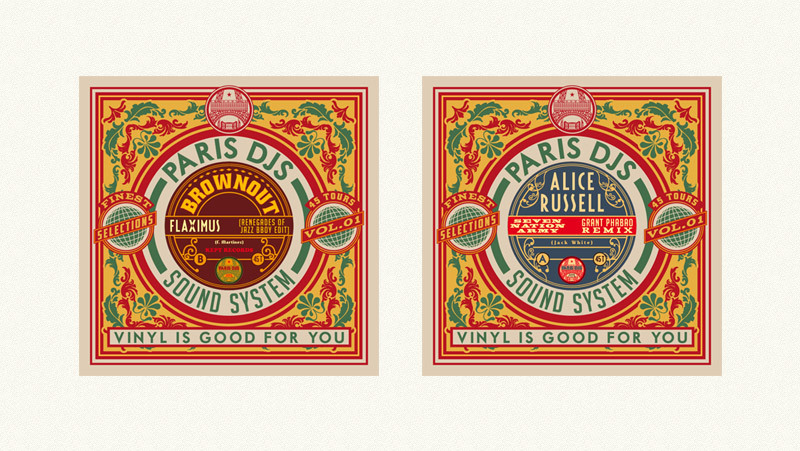 Productions coming from all over the world, mastered with a vintage, warm and ideally spatialized sound. 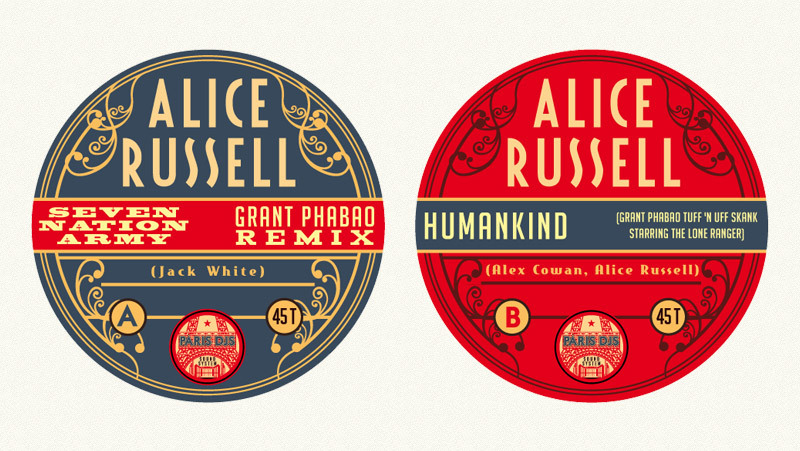 You can find those releases on the digital platforms, iTunes, Amazon, etc, and mainly on Bandcamp and JunoDownload. 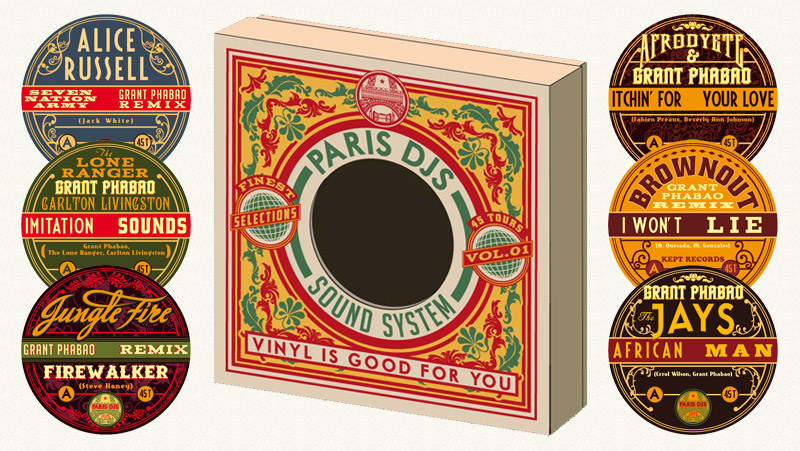 Today Paris DJs starts doing vinyl releases, with many collectable pressings. 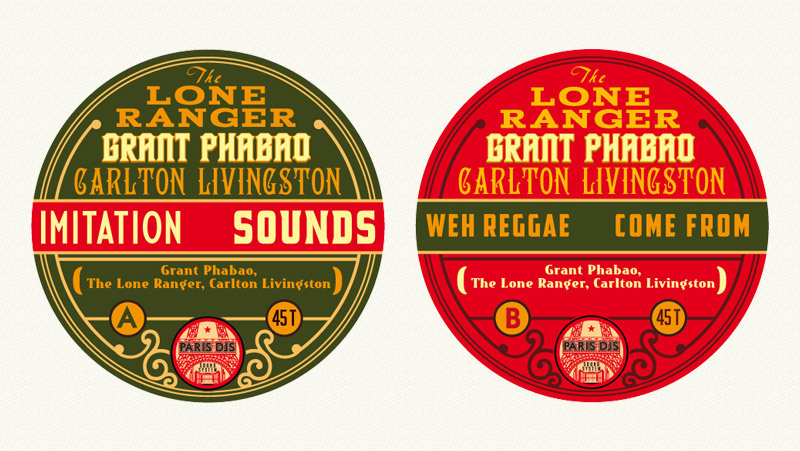 REGGAE, RUB-A-DUB & SKA !! 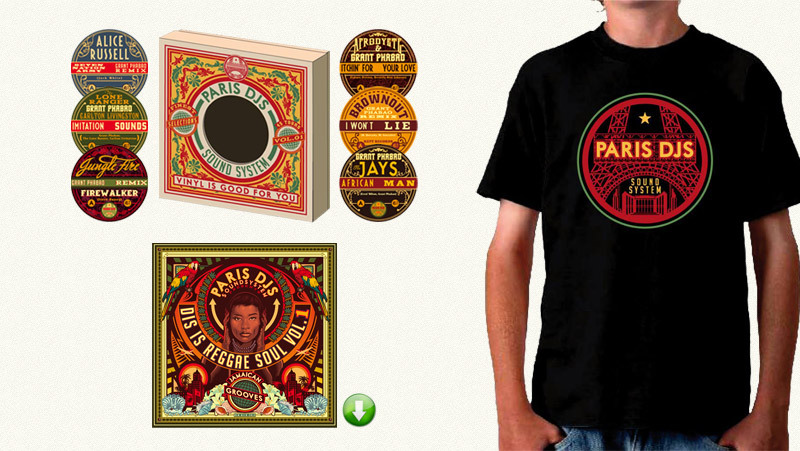 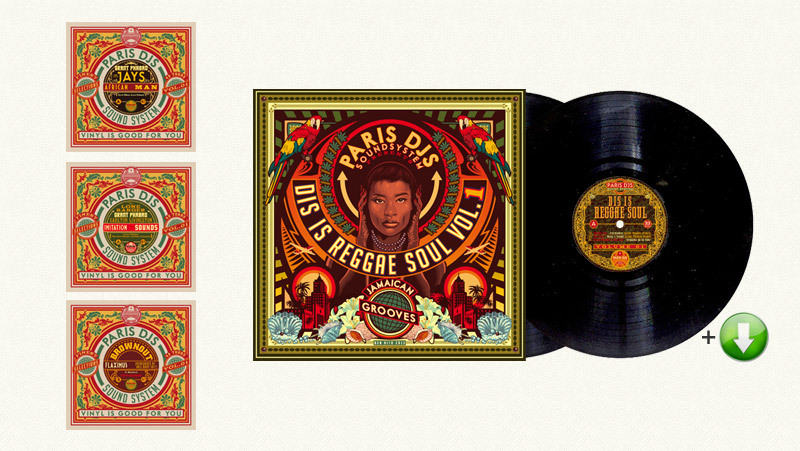 > with a six 45s boxset "VINYL IS GOOD FOR YOU"
> with a double vinyl LP compilation "DIS IS REGGAE SOUL VOL.1"!! 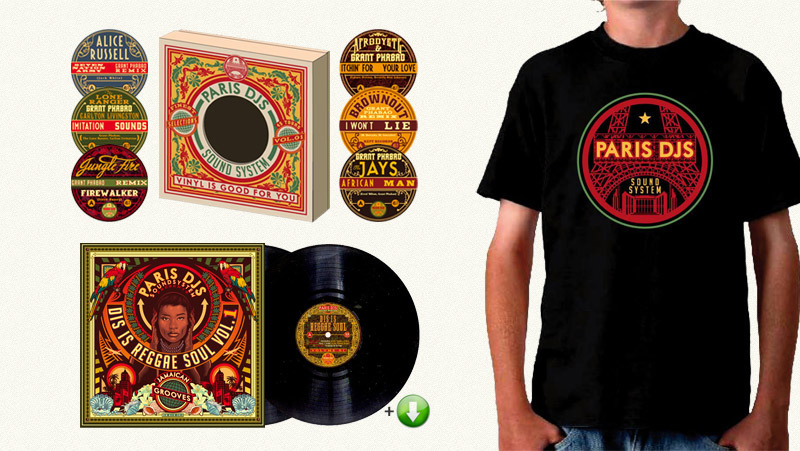 The 45s, the boxset itself, and the double LP have all been illustrated by Paris DJs' graphic designer Ben Hito, an exceptional artist - you might have had the chance to stumble upon is monthly pin-ups in the French Rock'n'Folk magazine. 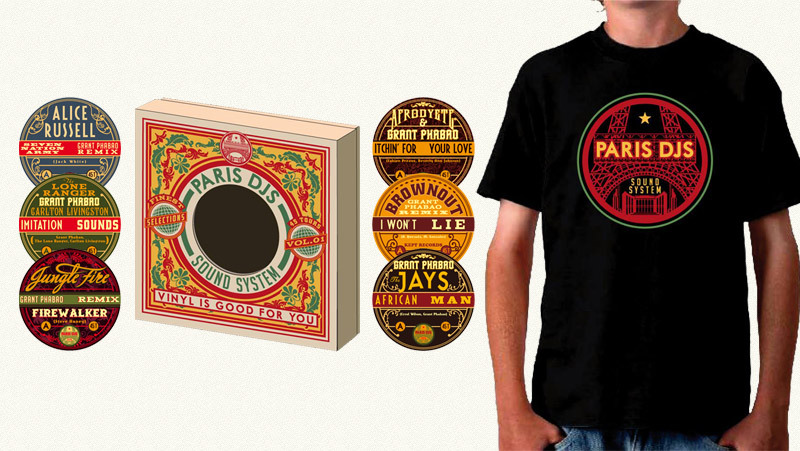 Limited quantities!! 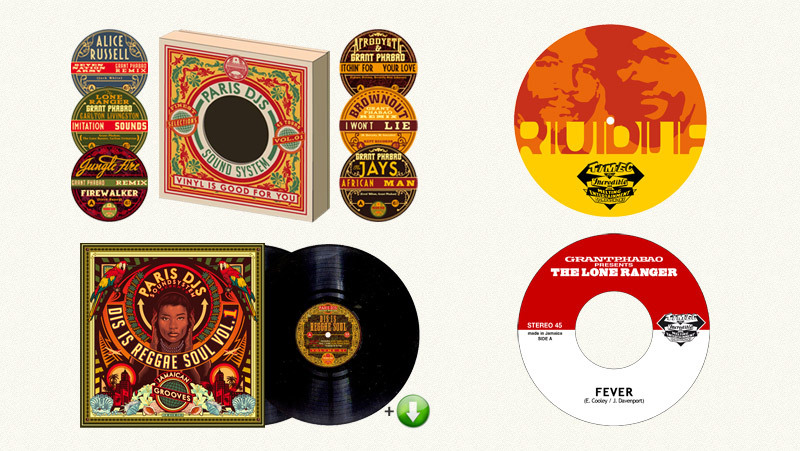 Only 100 copies of th boxset gathering the six 45s will be available. 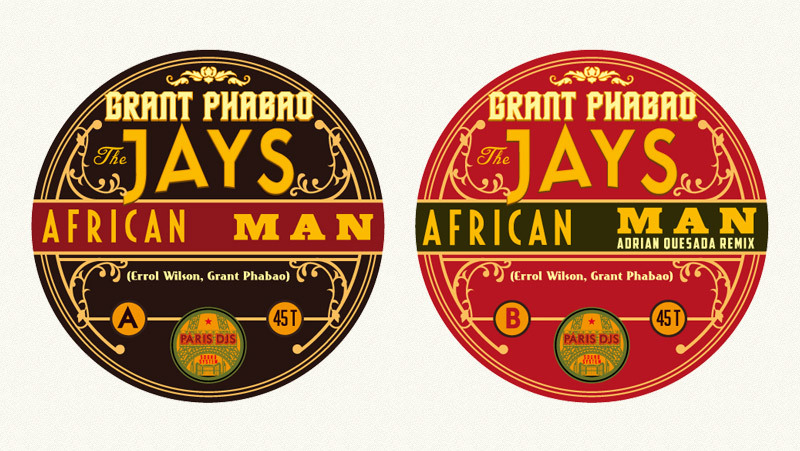 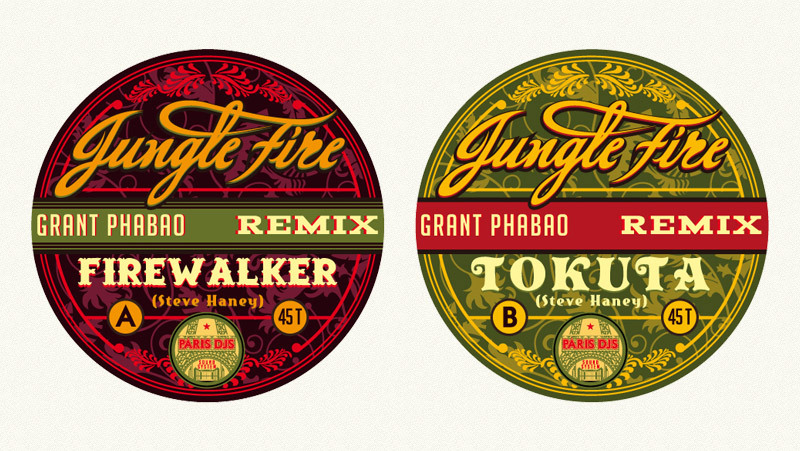 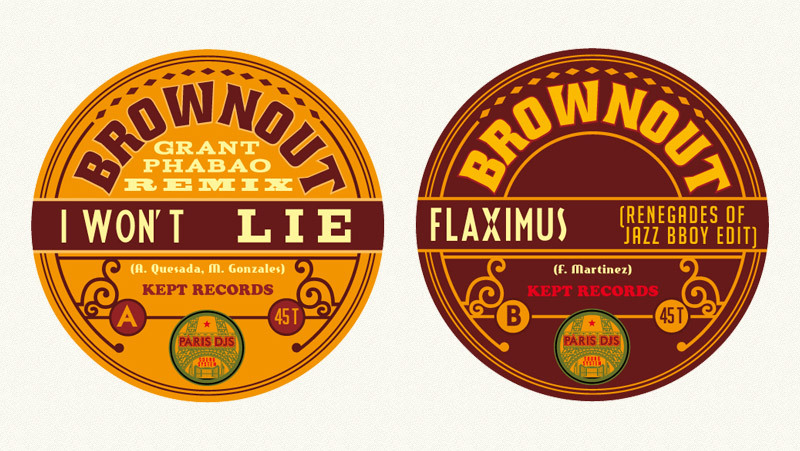 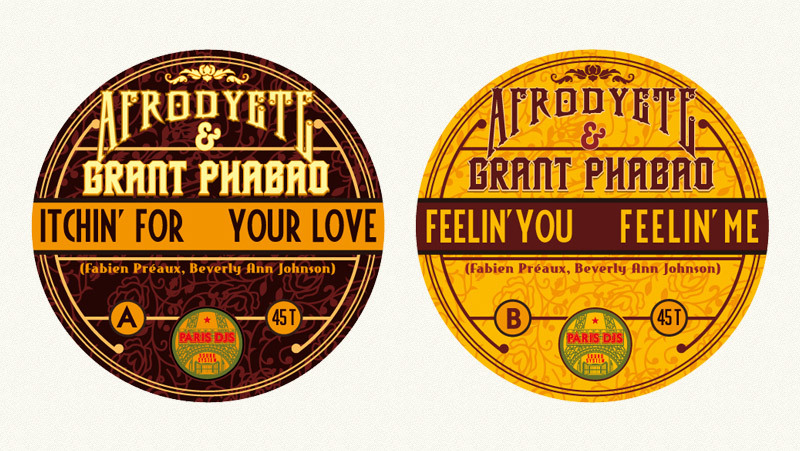 The 45s may be ordered separately, 200 copies of each 7 inch will be available. 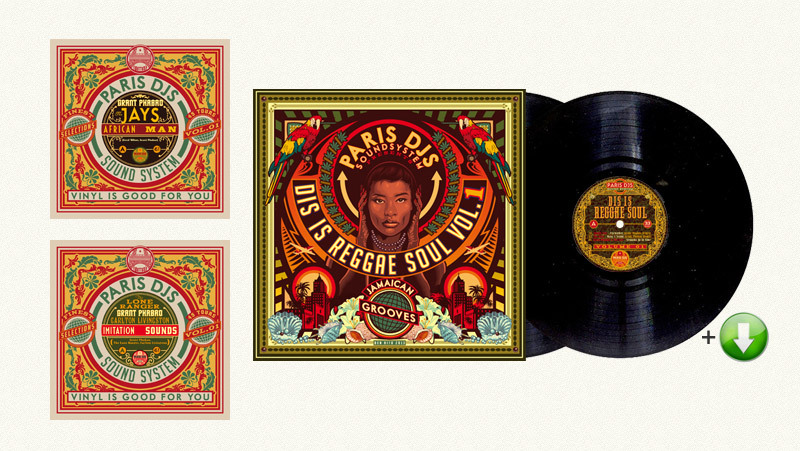 Paris DJs will also press a double vinyl LP (500 copies only), illustrated by Ben Hito once again, of the exclusive compilation "Dis Is Reggae Soul Vol.1". 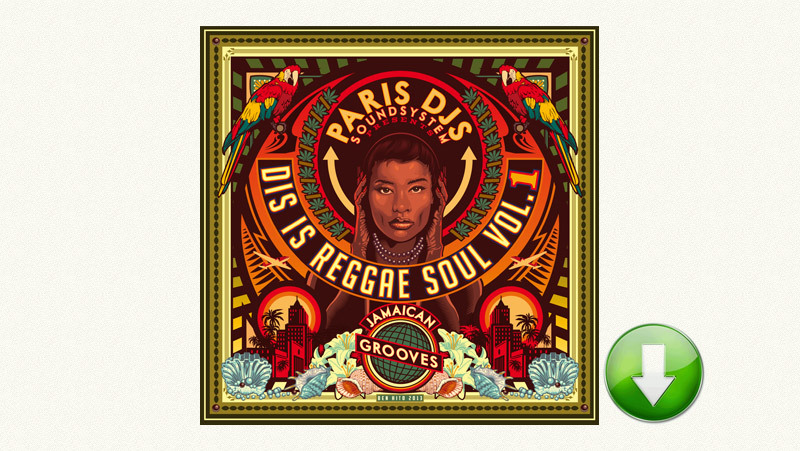 This compilation will gather 12 original productions & remixes from Parisian producer Grant Phabao, most of which were only available digitally so far (cf. 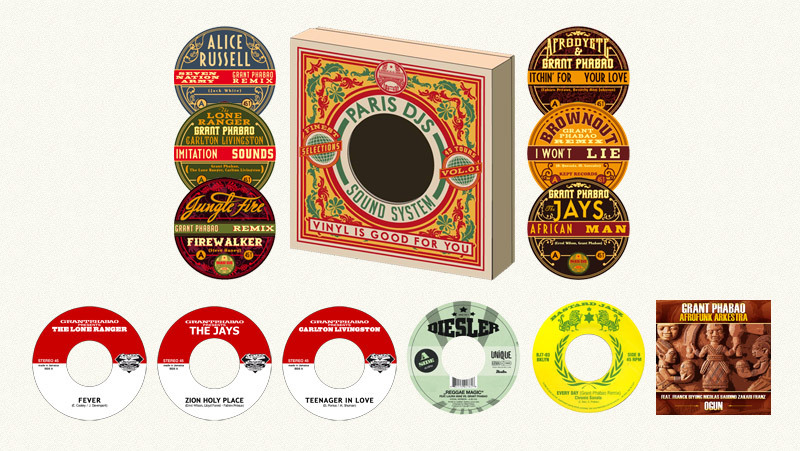 parisdjs.bandcamp.com). 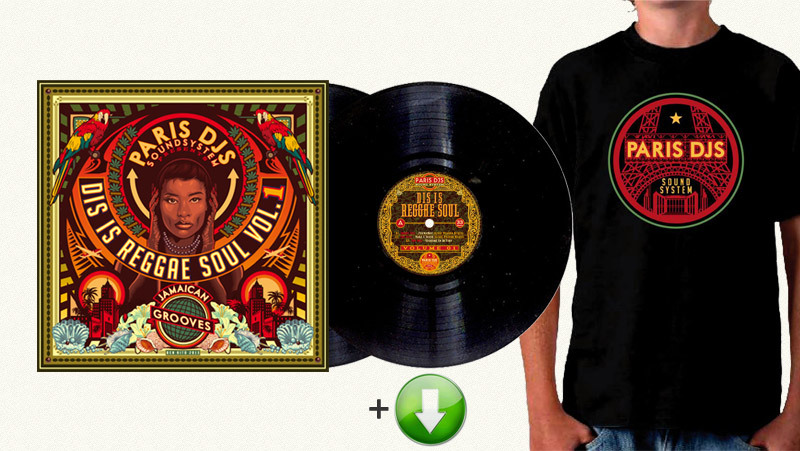 Don't forget to add the shipping costs to your sum. 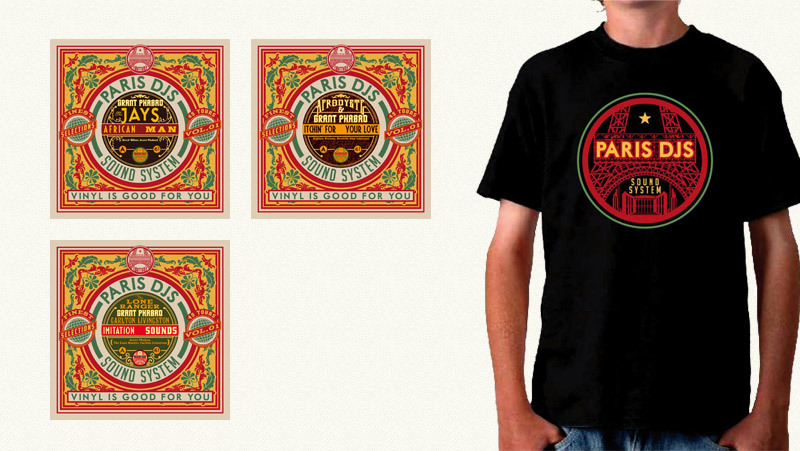 We tried to calculate them fair. 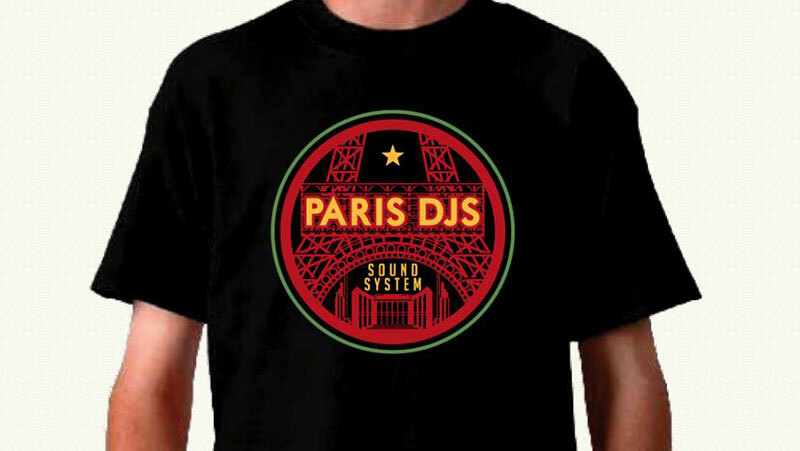 Paris DJs have funded entirely all the music production, from composition & recording up until mix and mastering (or co-funded with some artists/labels on some co-productions). 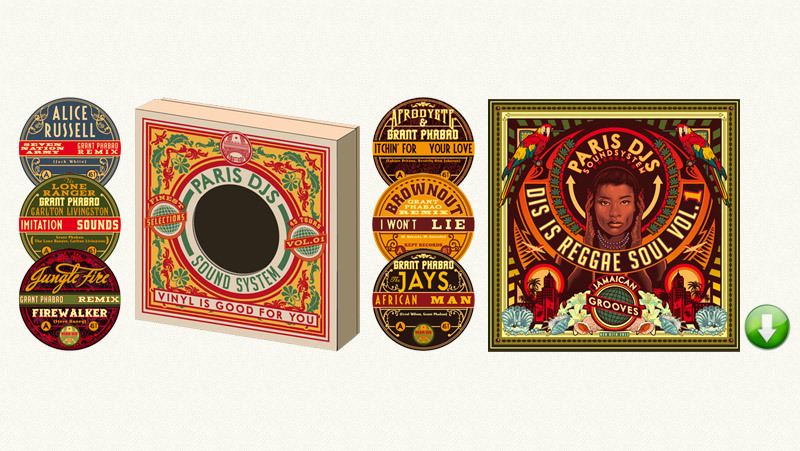 Paris DJs has also funded all the visual artworks, in collaboration with Ben Hito's KlassAffair society. 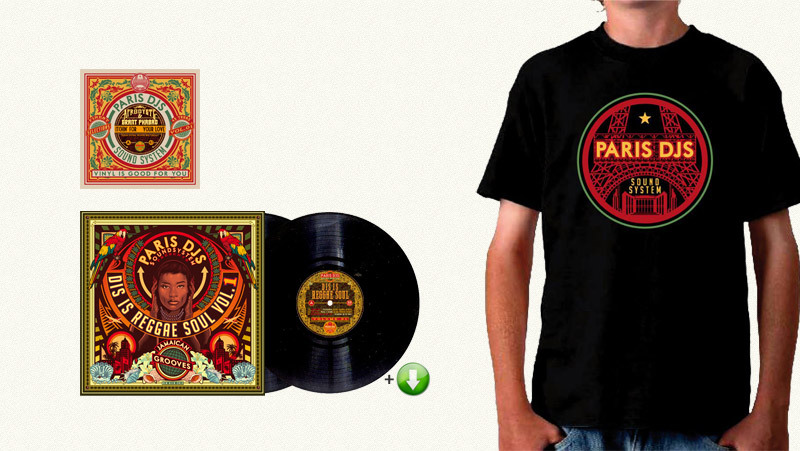 That's a total cost of 17.000€. 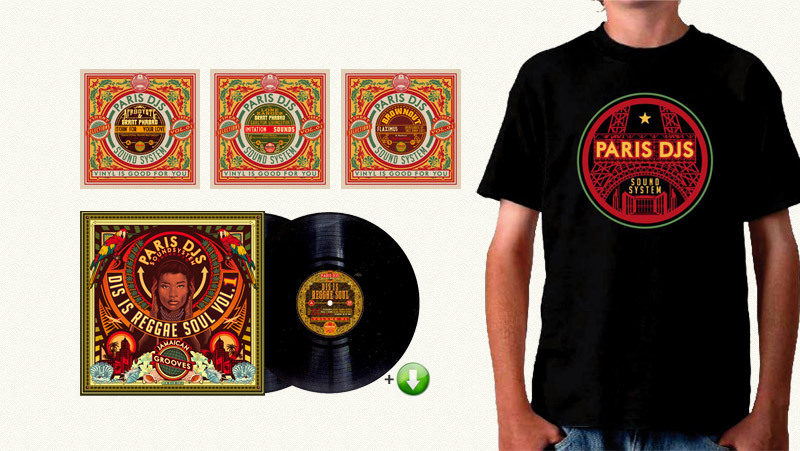 If everything goes according to plan, 12.000€ will be funded by this campaign. 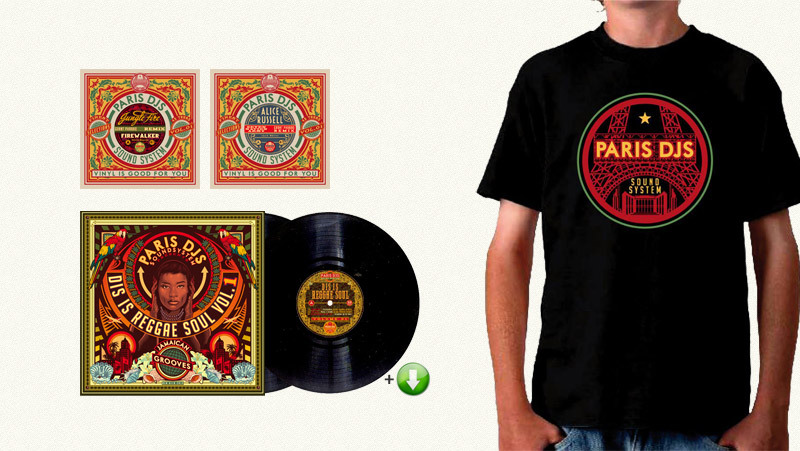 We'll have 5.000€ left to find - through record stores pre-orders, complentary to this crowdfunding campaign. 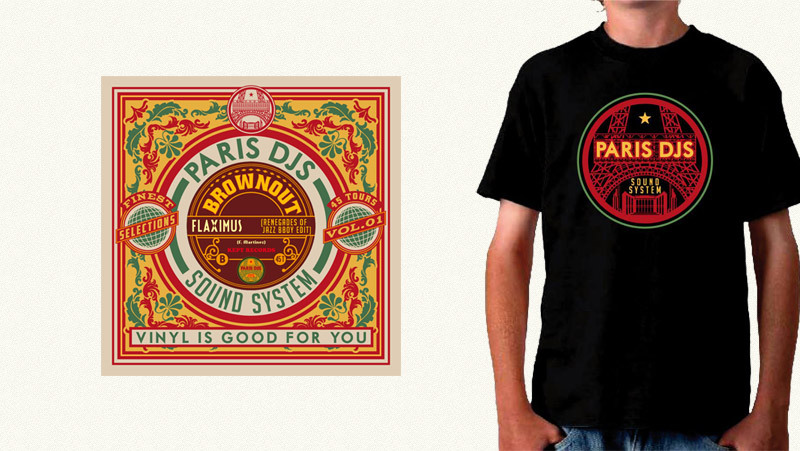 Of course, the more you'll support us, the less we'll need the traditional music business way. 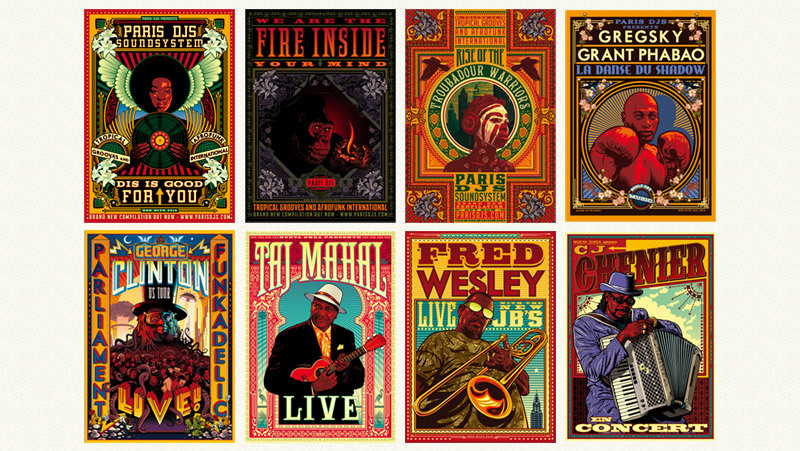 As Louis Armstrong used to say: "our music is a secret order" ! 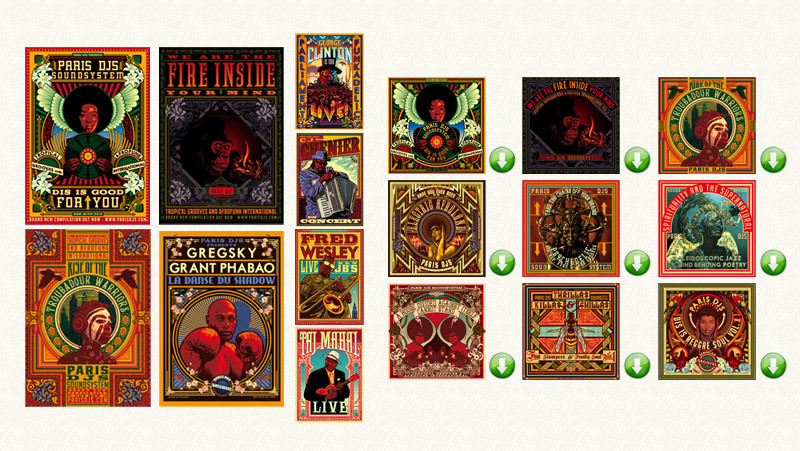 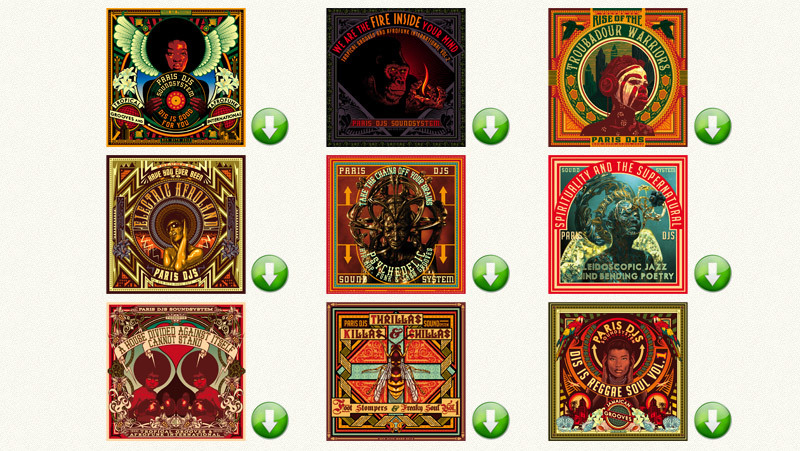 Set of 5 Ben Hito posters "Dis Is Good For You", "We Are The Fire Inside Your Mind", "Rise Of The Troubadour Warriors", "La Danse Du Shadow" + 1 more poster to choose in our stock of Ben Hito posters (including a few copies of the George Clinton or Fred Wesley ones!) 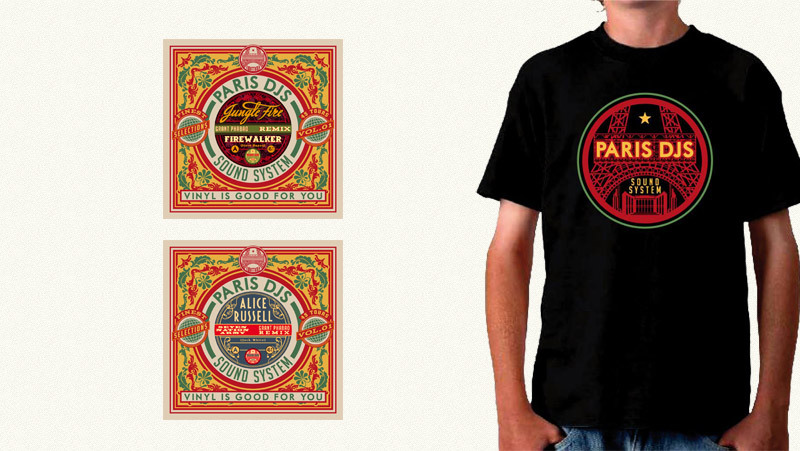 / 50€ worldwide shipping costs included. 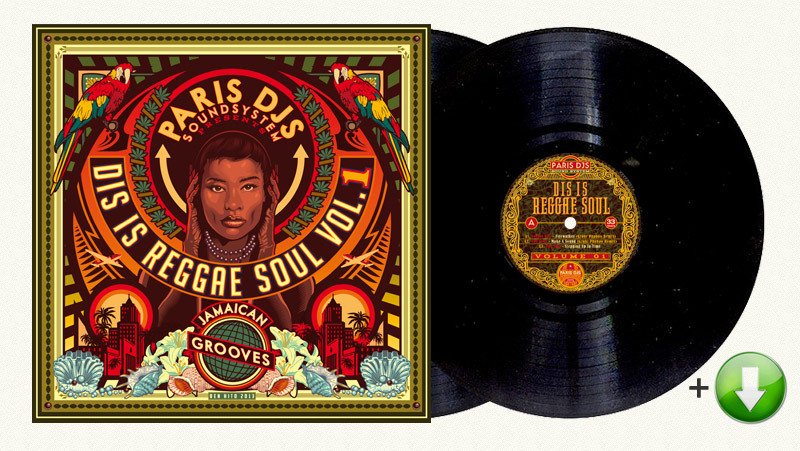 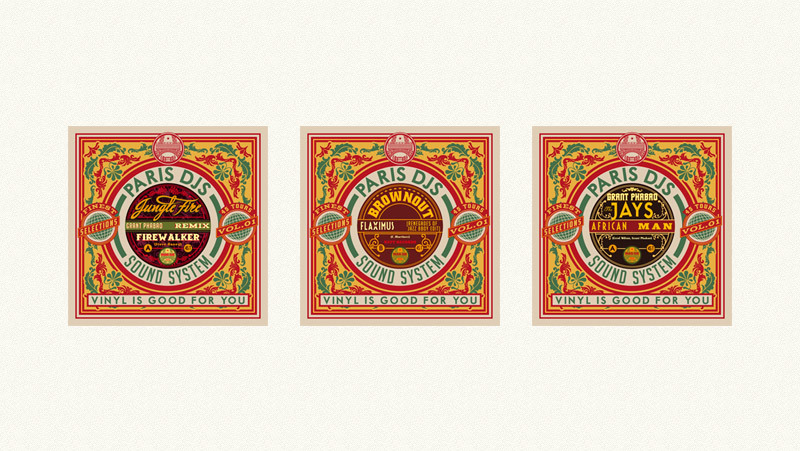 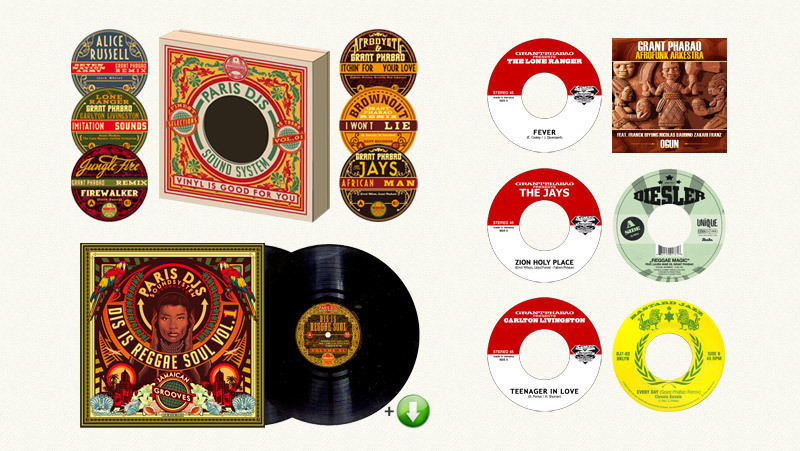 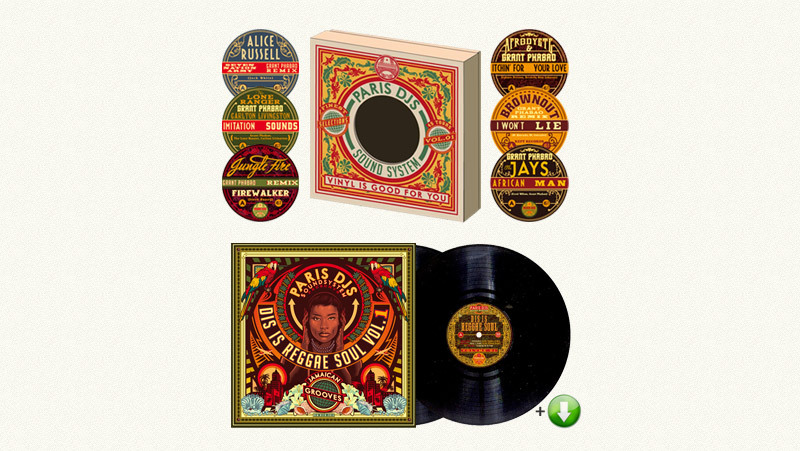 Set of 9 digital compilations from the Paris DJs Soundsystem "Dis Is Reggae Soul Vol.1", "Dis Is Good For You", "We Are The Fire Inside Your Mind", "Rise Of The Troubadour Warriors", "Have You Ever Been To Electric Afroland", "Take The Chains Off Your Brains", "Spirituality & The Supernatural", "A House Divided Against Itself Cannot Stand", "Killahs, Thrillas & Chillas" / 75€ instead of 100€!! 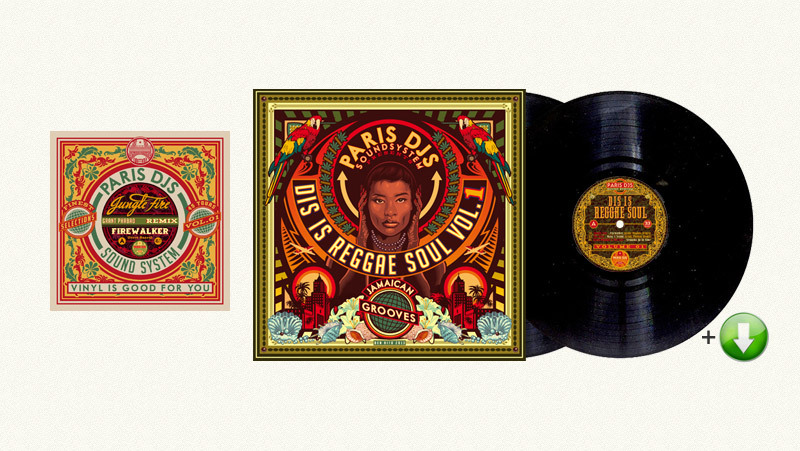 Set of 5 Ben Hito posters "Dis Is Good For You", "We Are The Fire Inside Your Mind", "Rise Of The Troubadour Warriors", "La Danse Du Shadow" + 1 more poster + 9 Paris DJs Soundsystem digital compilations "Dis Is Reggae Soul Vol.1" + "Dis Is Good For You" + "We Are The Fire Inside Your Mind" + "Rise Of The Troubadour Warriors" + "Have You Ever Been To Electric Afroland" + "Take The Chains Off Your Brains" + "Spirituality & The Supernatural" + "A House Divided Against Itself Cannot Stand" + "Killahs, Thrillas & Chillas" / shipping costs included!